and its twitter handles- @consaff and @jagograhakjago. contest on the theme of “Consumer is King/Queen”. • The last date for submission of entries would be 28th July, 2017.
also for any other use as may be deemed appropriate for the initiative. The unsuccessful designs will be returned on request. incomplete profiles would not be considered. Evaluation Criteria stated for this Contest. antitrust law and/ or confidentiality. x. GoI reserves the right to reject any entry based on its discretion. the entry developed and submitted. submission for any reason whatsoever. xiii. Entries may be submitted online on mygov.in latest by 28th July, 2017.
will be accepted in either Hindi or English languages. 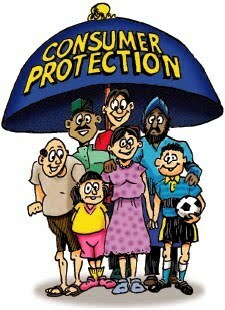 campaign, www.consumeraffairs.nic.in can be visited. explained in that greater detail, from being adjudged better. art and culture/mass communication, etc. shall be subject to local jurisdiction of Delhi State. Affairs by the above mentioned committee. either in English or Hindi. The unsuccessful entries will be returned on request. music. The jingle shall be in simple lucid language in either English or Hindi. any media platform such as soundcloud, Youtube, Google Drive, drpbox, etc. within 500 characters, such as names of the lyricist, composer, singer, etc. would be either Hindi or English. within 8 weeks from the last date of receiving the entries. medium/ mode would not be considered for evaluation. must be shared on www.mygov.in.